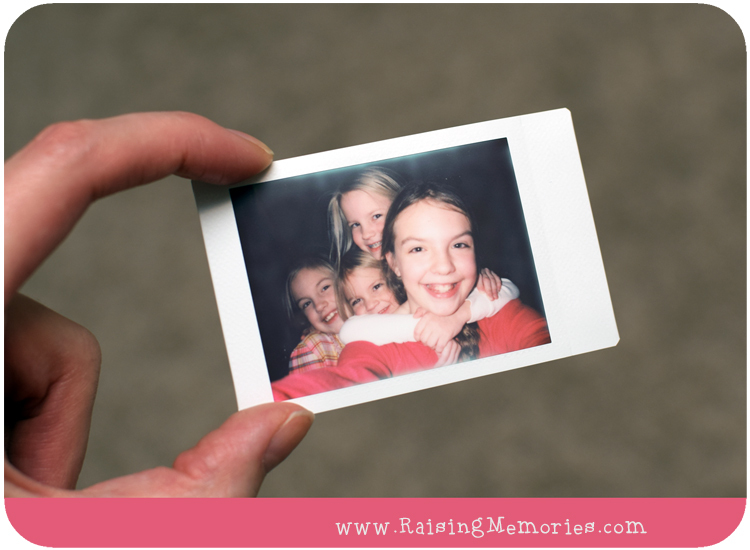 During a sleepover with my sister's girls, Sierra pulled out her Instax Mini camera to take a few photos to document their visit. I later found her sitting with Talia, intently looking through her own little photo album, filled with photos she had taken to represent memories that are special to her. It makes me so proud and so excited to see her taking an interest in Photography because it's something we'll be able to share, and to enjoy doing together. I'm excited to see Talia's collection of special photos grow. We choose to photograph the things that mean the most to us, so her collection of photographs is a glimpse into what she treasures. Below is the photo Talia was taking of Katrina (in the photo above)- it turned out great! We started with a cartridge of regular film, but we're looking forward to playing with some of the other film cartridges! There are a ton of different film options! I'll share a photo below of some of the ones we're checking out. There are a bunch of cute borders and you can even get mono chrome film- I'm excited about the artistic possibilities with that one! We recently attended a farewell party at our church and someone was going around with an Instax Mini camera, taking photos of everyone in attendance so they could give the photos to the guest of honour- like a photo guest book! This would be so fun for any kind of party- I can totally see a super hero themed party with photos using the Comic Instax film! Finally, I wanted to share that there are fun camera straps and cases made especially for this camera. The flap on the case is attached by snaps, so you can remove it and use the camera while still in the case! There are also photo albums available that are just the right size for Instax prints (you can see Talia's in the video below). I wrote a series of posts on "How to Take Better Photos with the Camera You Already Have!" If you're sharing photography with your little one, or you want to improve with your own, check these out! 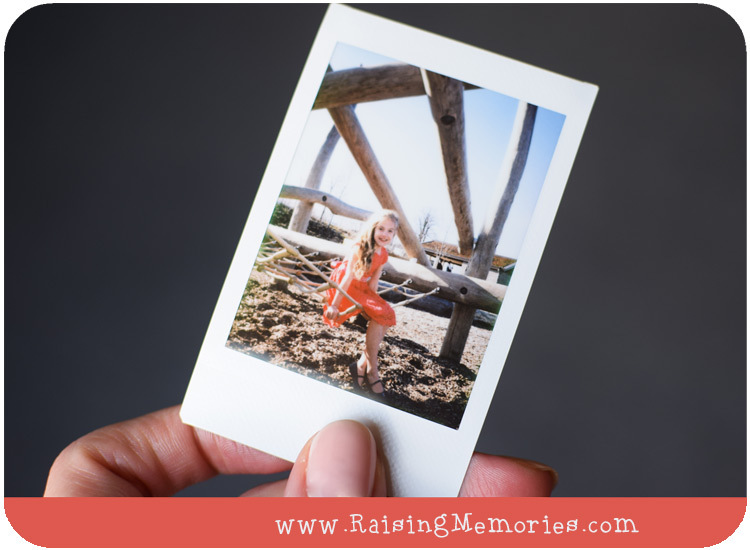 You can find lots of fun ideas for creative ways to use your Instax camera on their Instagram, Facebook, and Twitter accounts. Disclosure: Fujifilm Canada provided product for the purposes of this post and giveaway. All opinions and experiences shared are, as always, my own. I would give this camera to my niece, we would take so many cool pictures with it together. I'd like to give this to my 13 year old. I think she'd have a lot of fun with it! I would give this camera to my nephew if I won. I would give this camera to my daughter. I would give this to my son who loves taking pictures! My gf's nephew would definitely get this camera. I would give this camera to my son. This would be for our girls to share. I would give this to my friend Christine! I would give the camera to my sister, 2 daughters and son-in-law for when they are participating in the Half Corked Marathon, Oliver/Ooysoos, B.C. I would give the camera to my granddaughter. I would give this to my daughter in law if I won for her birthday that is coming up! Thanks! I would love to give this to my youngest daughter! She's been expressing interest for months! I would keep this camera for myself and take tons of shots. I'd give this to my granddaughter. I would use this camera at our family reunion in August. 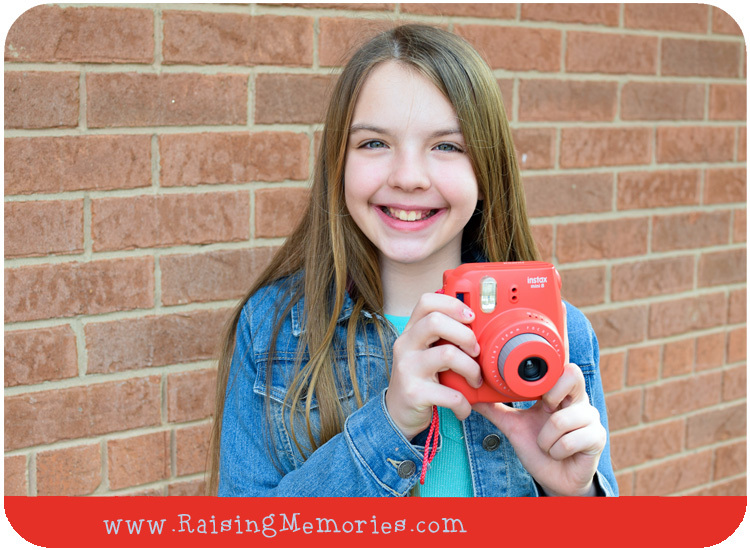 My daughter's birthday is this summer & this would make an awesome gift for her to take pics of all her summer adventures! I would give the camera to my grandson. I would give the camera to my best friend Diana. She loves this camera. I would give the camera to my niece if I won. My 11 year old wanted one of these so bad at Christmas but santa did not bring it. This would be so perfect to give her for a baptismal/communion gift as she is both getting baptised and making her first communion of her own choice soon. I'd share the camera with my daughter. We'd both enjoy taking photos with it. My daughter is headed off to university in the fall. She would love pics of family and friends from home to take with her, and an Instax Mini 8 camera to document her university days. I would give this to my nieces so that they could take pictures while their playing outside. This camera would be great for my sons. I believe I would give it to my 10 year adorable nephew ....he has would absolutely LOVE it! I would give this to my daughter, she'd love it. I give this prize to my 5 year old son. I would give it to my son...he would have fun with it. I would give this camera of my niece! I would give this to my granddaughter for her birthday, she is always asking me to let her take pictures with my camera. I would give this camera to my grandson! I would give this Instax to my niece. Thanks for the chance! I would give this to my eldest grandson! I would give this camera to my granddaughter! She would love it! Our grandson would love this camera. He is always filling up my memory with photos! Thanks for the great giveaway opportunity and for the post! I would love to give this to my oldest son! I would love to give this to my oldest son. I would give it to my teen daughter, she is an aspiring photographer ! This would inspire my Chloe Pearl to start a scrapbook! I'd give this to my niece...It would be fun. I would gift the camera to my daughter in college. The kids on the floor in her dorm love to hang group pictures up and I know she would love it. If I won I'd give it to my nephew. If I won I would give this to my sister! She loves photography! Uh. Not to sound greedy, but I'd keep the camera for myself if I won. Ha. I've been lusting after these things for awhile! So cool! I'd love to give this to my daughter if I won. It would be fun for parties and family get togethers. My girls would love this as they have been asking for one for awhile now. My son would love this camera! I would let my daughter use the camera. She is a budding photographer, even in her young age. I've been seeing this camera around IG a lot and have read a lot of good things about them. 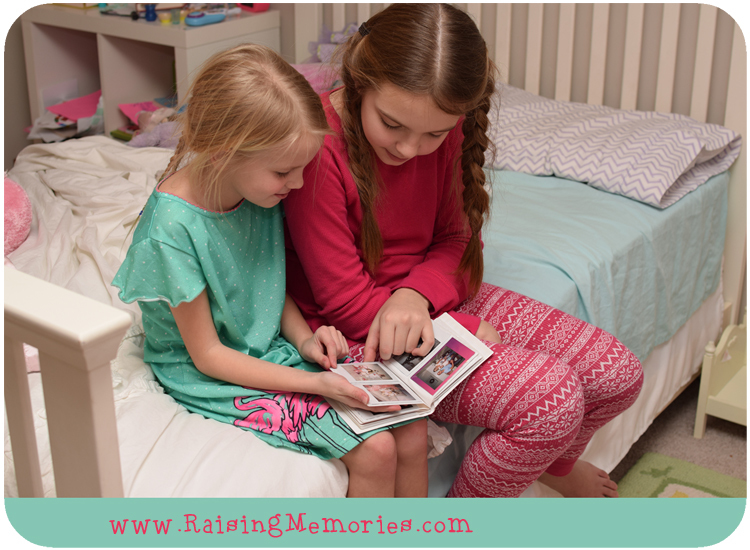 I would love to get one for my girls to share to start building their own memory books of moments in their life that are special to them. There is nothing like seeing life through the eyes of a child. I would give this camera to my daughter.She loves taking family pictures and scenery!! She's a girl that never misses a chance to save a memory.Thanks so much for a chnce. I would give this camera to my BFF as she has wanted one forever. I would gift this to my nephew. He would love this. I would keep it.. I love taking pictures and don't own a camera. I'd give the camera to my son - he'd love it! I would keep it to use at my son's wedding in June for a mini scrapbook of fun moments of the day! I would give this camera to my daughter. She always pretends to take pictures with her toys! I would give this to my mom. She is always wanting to take pictures but does not own a camera or even a phone to take pictures with. I know she would love this. I'd keep it for myself. it looks like such a fun camera! I would be giving this to my nephew's daughter!! My 12 year old daughter has been asking for an Instax Mini for a couple of years now but they're a bit out of my price range for birthdays/Christmas. This would be amazing to win for her, thanks so much for the chance! I'd love to give this to my daughter who is going on her first class overnight trip! 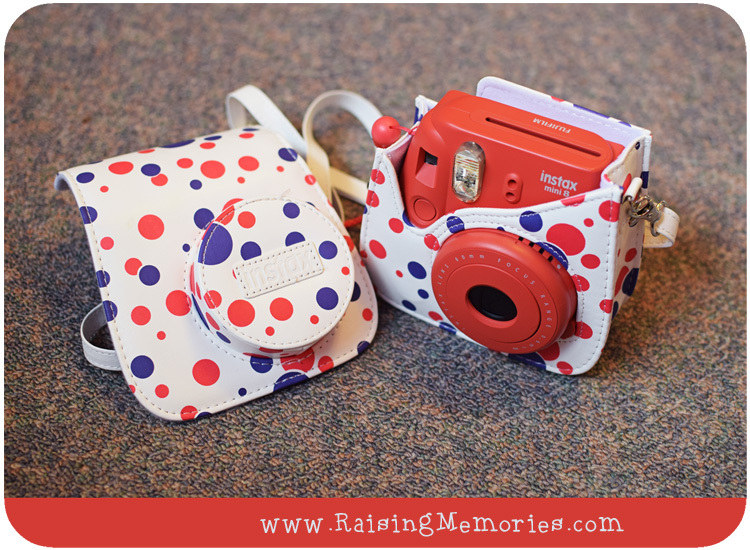 This would be perfect to capture those memories! I would give it to my daughter she loves to take photo's are things that she thinks are pretty and this would make her day to have. I would give this camera to my 10 year old daughter if I won. She'd have fun with it for sure! I'd give it to my son if I win. He'll have so much fun. I would give this to my oldest daughter. She takes so many pictures with my phone and some are great. I would give this camera to my niece, she loves to take pictures. I love these cameras! My friend has one & it's so much fun! I'd give this to my sweet cousin! this would go to my daughter Kiara-Li curious by nature and enjoying the scenery! to my daughter Kiara-li, curious and likes to take pictures! I would love one of these cameras! 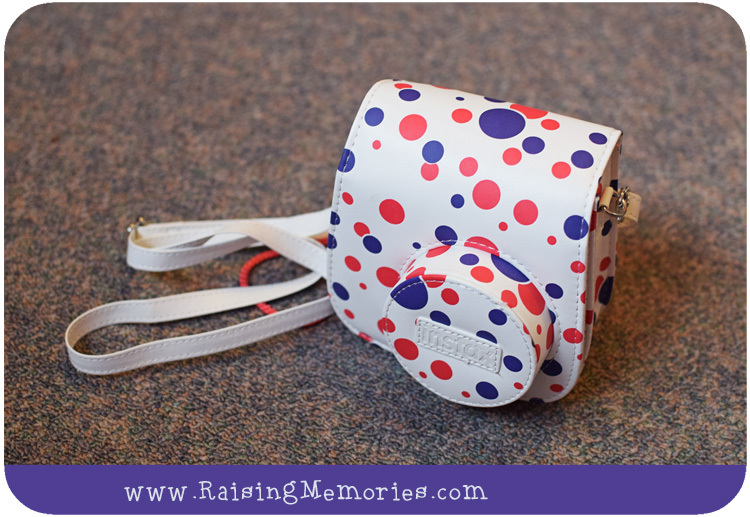 Such a great way to capture memories :) film doesn't have to be a thing of the past!! I would give the camera to my niece. I know she'd love it!! If I won I would give it to my daughter. She has wanted one ever since they first came out. I would give this to my daughter for our upcoming vacation, she would love it! 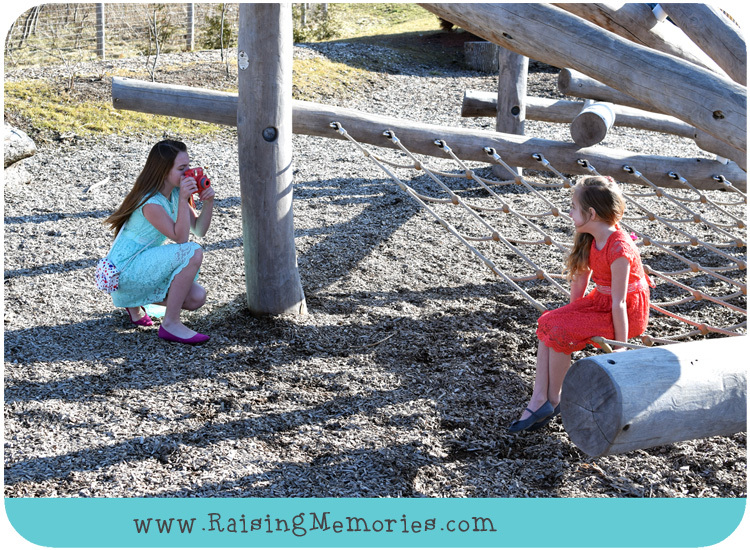 I would love to give it to my son to have fun at the park and see what he captures! Id give it to my nephew who is travelling round australia this summer! I would give it to my "oldest" friend - who had a Polaroid! Such sweet photos, taking after her mom eh?